Many industry players now say they are expecting to see good levels of compliance with the lowered global sulfur cap in 2020, with 80% the magic number being commonly referenced. 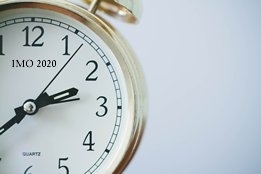 While that may be the case when we look back on full year compliance levels, there are still signs that initial IMO 2020 compliance levels will get off to a soft start. This is an important factor for both bunker buyers and suppliers in determining the supply and demand picture during the final months of this year and start of the next. One driver for this is uncertainty on how authorities will handle FONARs - fuel oil non-availability reports that indicate the vessel was not able to lift compliant fuel. Such a report is exactly that; it is an official report but not a guaranteed waiver and as such, fines can still be imposed on vessels if they fail to comply with the sulfur cap rules whether or not they present a FONAR. While that is the letter of the law, Nikos Petrakakos, Head of Maritime Environmental Innovation at Seabury Maritime, last week said he expected the reality will be one of leniency from PSCs. "As long you are not abusing them [FONARs], you will get exemptions at least for the first six months to a year," Argus quoted Petrakakos as saying during a conference in New York. When tighter emission control area (ECA) regulations came into force, vessels "were easily given waivers" in the UK port of Falmouth, he added. An investigation by Ship & Bunker in 2017 also found evidence to suggest fines rarely follow FONARs, with official data from Canada indicating that since its ECA came into force in 2012, on average FONARS were given to vessels on a weekly basis and not subject to any fines. While on one hand the industry must of course deal fairly with the possibility of there being a lack of compliant fuel, any message that this won't be a problem in terms of vessels being penalized is also unlikely to create the desired sense of urgency to swiftly achieve full industry compliance. Rules around scrubbers also appear to be causing confusion, with UK-based law firm CMS last month saying some players believed that merely commissioning a unit before the January 1, 2020 start date for the new rules, but not necessarily installing and using it, would be sufficient to comply with the lowered sulfur cap. To be clear, it will not, and if a vessel burns high-sulfur fuel then compliance will only be achieved if it has a scrubber installed and the unit is being operated correctly so emission levels are verified to be the equivalent of burning compliant fuel. But again, perhaps it is lessons learned from how ECA regs have been handled that has contributed to this misunderstanding, with firms such as Horizon Lines granted exemption from the rules while they fitted scrubbers, or TOTE's ECA waiver as part of its plans to convert to using LNG bunkers. So while there is a sense that the industry now accepts the new rules will come into effect on January 1, 2020 without delay, the picture is still complicated by uncertainty over how the rules will be enforced. Trident Alliance Chair, Roger Strevens, last month told Ship & Bunker he felt there has been a "missed opportunity to deter non-compliance" by sending a clear message of intent on how authorities will enforce the new cap. Robin Meech, Managing Director, Marine and Energy Consulting Limited, has previously argued that high levels of non-compliance are unavoidable due to the complexities of tank cleaning.